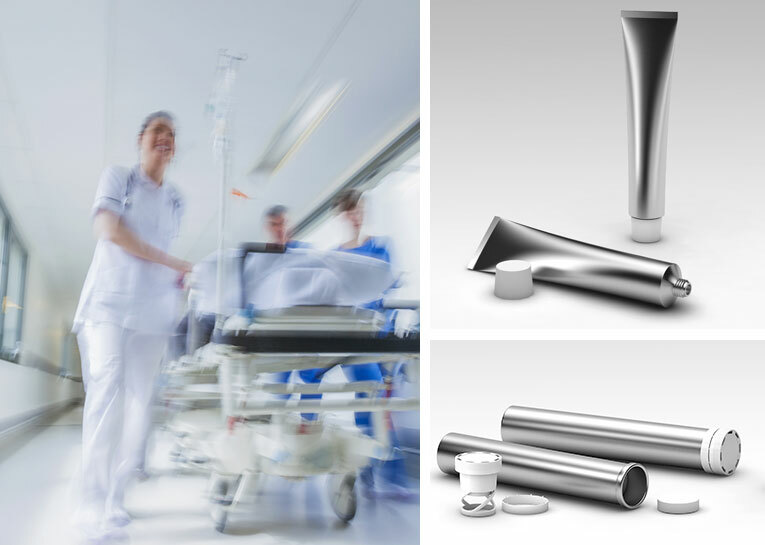 How you maintain high standarts of hygiene - GDA - Gesamtverband der Aluminiumindustrie e.V. ...is detailed by Nurse Melanie Schubrink. On the table, her colleague is preparing medication. With a concentrated look on her face, she picks up the tiny tablets one by one with tweezers from a small rigid aluminium tube. Then she lets them fall into the compartments of a tablet dispenser. Tablet for tablet. „In the interests of hygiene we avoid touching the medication with our hands wherever possible,“ the nurse explains. „Sometimes this seems inconvenient. We’re grateful here for clever inventions,“ she says and with a wink hands her colleague a blister pack from the medicine cupboard on the wall. „Simply press the tablets straight from the pack into a tablet dispenser. That’s clean and easy,“ laughs the dynamic 26-year-old, and as she does her auburn ponytail bobs up and down. Over coffee she talks about her idea. How she was soundly shot down by the management of the clinic at first. How she found unexpected allies who prepared a cost-benefit analysis for her. Red-cheeked, she tells of her exciting presentation which finally persuaded the management that her plan was viable. Aluminium: the practical, all-round accompaniment. A must, not only for mustard. Complex closure systems that need special tools to open them are a thing of the past: in a trice one can open a notched or pre-perforated pouch, remove the lid from a yoghurt pot or a can of vegetables or even unscrew the closure on a bottle. 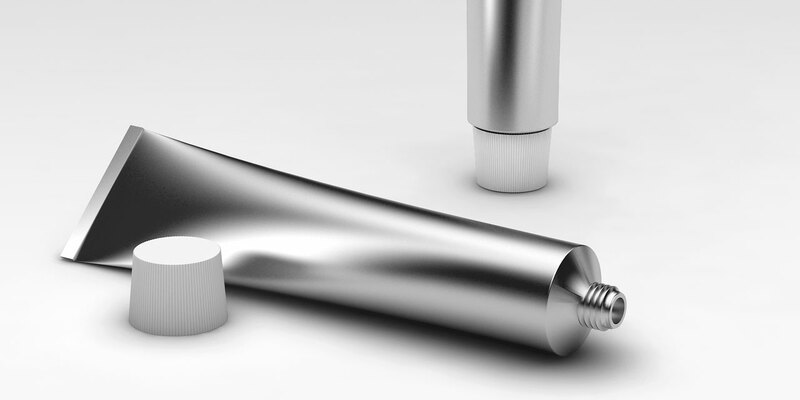 Aluminium tubes are also available with different screw or snap closures. It is a pleasure to use an aluminium tube to dispense contents simply, precisely and economically. Having confidence in the reliability of a pharmaceutical product is certainly as important as having confidence in the doctor who prescribed it. Does the pack really contain what it says it does? 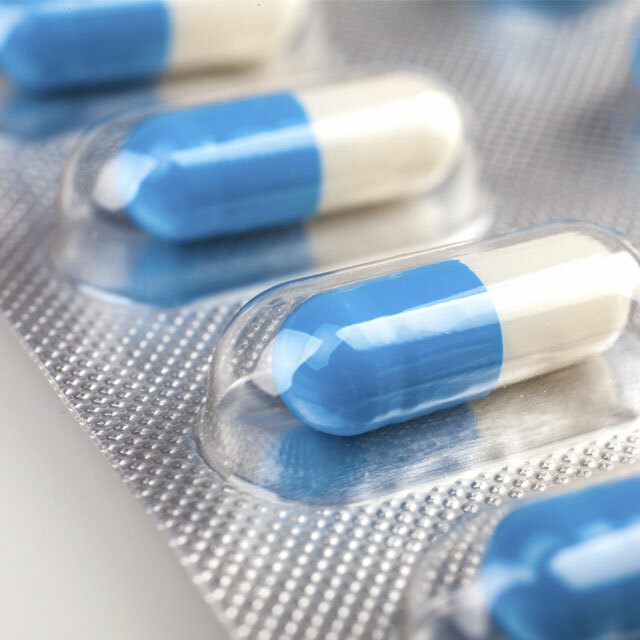 Medication counterfeiting is a growing problem. A counterfeit pharma product might contain no active ingredients, or insufficient or excessive amounts of them, or even completely different ones to the original preparation. This explains why packs of medication also have to offer reliable protection against counter- feiting. Aluminium packaging offers the ideal solution. And modern technology supplies the special effects. Some of the aluminium foil on blister packs already carries elaborate security features like those used on banknotes. A technology that is regarded as being particularly in- vulnerable has recently been introduced: the manufacturer’s brand identity is embossed as a micro-holograph directly in the aluminium foil. It is impossible to rub it off. This means that one can say with certainty whether a pack is an original. And with aluminium tubes, an intact push-through membrane is evidence that a product cannot have been tampered with.